Are you working out and eating a healthy diet, but still not seeing results? It may be because of your alcohol intake. Hereâs why drinking is bad for weight loss. When it comes to losing weight, one of the most common questions people ask is: what’s more important? Exercise or diet? In truth, the answer is both. Opting for both personal training and nutrition coaching can make all the difference in achieving your fitness goals. At Jensen Fitness, our customized personal training programs and nutrition coaching services can help you achieve any weight loss goals. Whether you’re looking to gain some muscle or shed pounds, we have the equipment, expertise, and passion to get you the quick and permanent results you want! If you’ve opted for personal training or nutrition coaching to help you achieve your weight loss goals, the first thing your fitness expert will advise is quitting, or cutting down on, your alcohol intake. Alcohol is empty calories. Alcoholic drinks are often referred to as ‘empty calories’ meaning that they provide your body with extra calories, but have very little nutritional value. 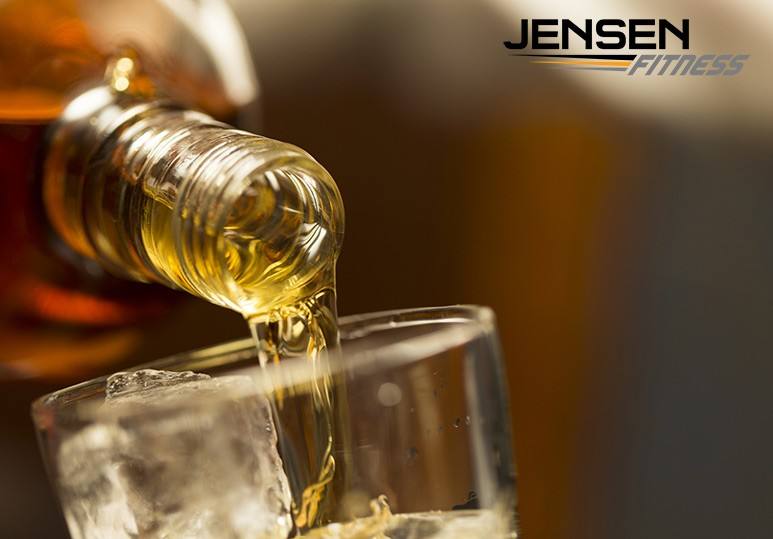 A night out with several drinks can lead to consuming a few hundred extra calories, which can seriously hinder your weight loss efforts. Alcohol is used as a primary source of fuel. When your body is using alcohol has a primary source of energy, the excess glucose and lipids will end up as fat or adipose tissue. Alcohol may affect your organs. Excess alcohol consumption can lead to an alcoholic fatty liver which may affect the way your body metabolizes and stores carbohydrates and fats. Any change in the way your body stores energy from food can make it very difficult to lose weight. Alcohol leads to belly fat. Foods that are high in simple sugars, such as in candy, soda, and beer, are also high in calories. These extra calories tend to get stored as fat in the body, and in most cases, will accumulate in the abdominal area. Alcohol leads to poor judgment calls. Alcohol tends to lower inhibitions which can lead to poor decision-making in the heat of the moment, especially when it comes to food choices and this can slow down your weight loss progress significantly. Alcohol can negatively impact your sleep. It has been shown that alcohol can lead to increased periods of wakefulness during sleep cycles and sleep deprivation can lead to an imbalance of hormones related to hunger, satiety, and energy storage. Alcohol affects digestion. Alcohol intake at all levels can lead to impaired digestion and absorption of nutrients, which in turn can affect the metabolism of organs which play an important role in weight management. Do I Have to Quit Alcohol to Reach My Weight Loss Goals? If you are serious about losing weight, then it’s important to think about alcohol and its relationship to your goals. If you do want to shed those pounds, then you may need to cut out alcohol completely to get the best results. However, you can eventually reintroduce alcohol in moderation once you’ve reached your goal weight but if you continue drinking, you’re going to find it very difficult to lose those last few pounds. To find out about our customized personal training and nutrition coaching services, and how we can help you achieve all your weight loss goals, contact our Calgary gym at 403-200-0199 or fill in our online contact form.